SWIMMING + BIKING + RUNNING = TRIATHLON! One month from today I will be doing my first sprint triathlon! 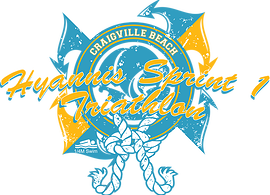 I’m registered for a sprint triathlon series on Cape Cod with the first race in June, the second in July and the last one in September. I’m definitely a little nervous, but excited that I finally bit the bullet and registered since I’ve had my eye on these races for about 2 years now and just never quite got up the courage to do it. Luckily I even managed to convince a friend (also a triathlon rookie!) to register with me so I’m not alone on this one! With a month to go I’m not quite as ready as I would like to be at this point, but I’m eager for the race and plan on really using this first one as more of a learning experience. I know several of you have done triathlons before so I’m hoping you can share any tips/ advice you have with me! As a former diver and lifeguard I wasn’t too concerned about the swim portion of the triathlon. I’m comfortable in the water and know how to swim properly, it was just a matter of getting back in a pool and working on my endurance. I’ve been swimming about 1-2 times a week, but unfortunately missed over 2 weeks when I was dealing with my neck/ shoulder spasms because there was just no way I could stroke properly with my right arm or turn my head enough to either side to breathe. I’m still not quite where I’d like to be for the swim portion, but I’m confident I can at least complete the distance. The bike portion is honestly the part I am most nervous about. Of course I can ride a bike, but I really don’t much since I hate the idea of biking on the roads (with cars! They’re scarier than sharks!) and I don’t really have any experience being on a bike around lots of other people on bikes. I have a hybrid bike which is not ideal for a triathlon, but until I know whether I love the sport or not I’m trying not to spend any more money than I need to, so hybrid it is! Most of my riding in the past 2 months has been on a stationary bike, but now that it’s finally nice out I plan on taking my real bike out as much as possible the next few weeks to get as comfortable as I can before the first race! I think I got this part. Hopefully. Alright experienced triathletes, you’re up again – what do you think?? Would an outfit like this work for a sprint triathlon?? I’m definitely excited and a little nervous, but like I said, for this first one I’m looking at it 100% as a learning experience. If it goes well I’ll hope to focus on my time a bit more for the second race! Thoughts/ tips/ advice for a triathlon rookie?! This is awesome Danielle! 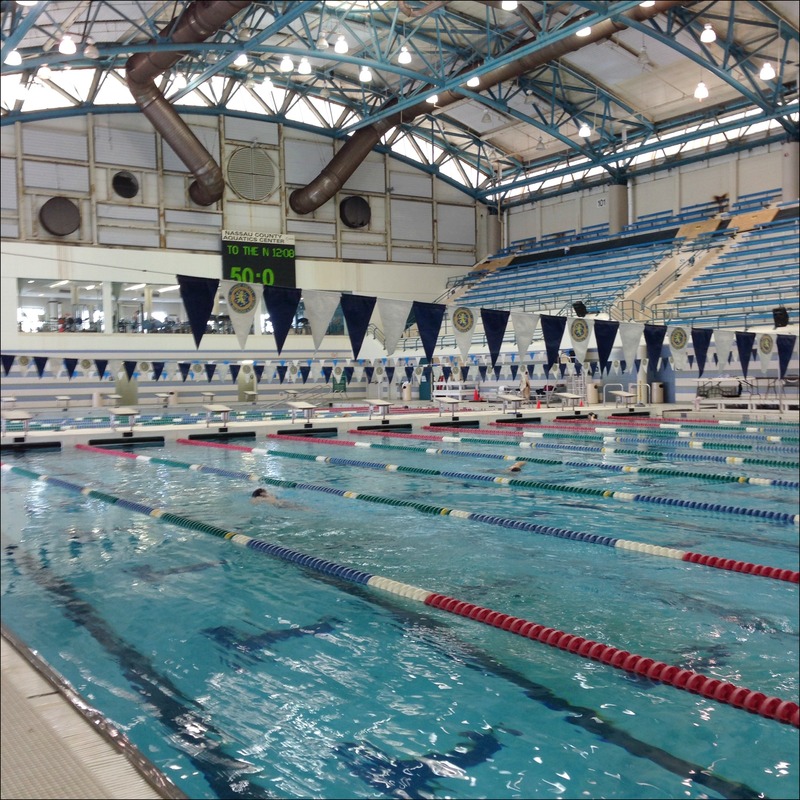 I plan on doing my first in September and I have a LOT of training in the pool to prepare for it! I like the Athleta outfit there. Maybe that’s what I need to look into, also. I can’t wait to hear more about this for you! Thanks Pam! I’ll let you know how it goes and of course I’ll write a post about stuff 1st timers should expect, etc. after I do the first one so hopefully that’ll help you in your training and before you do your first one! Good luck! Oo how exciting! Not sure I’d ever be up for a tri, but the “sprint” distance sounds ok. I figured the sprint distance can’t hurt right?! It’ll be over in less time than a half marathon! The plan sounds like a good one. Make sure you like this combo before investing in it. Good luck with it all. I can’t do a tri because I never took to water. I know enough not to drown but swimming is not my thing. Luckily I have an Athleta store in my town so I’m going to go see if I can try that outfit on! If I like it I’ll be able to do some test swims & bike rides in it and if it doesn’t work out I think it’ll be good for stand up paddle boarding anyways! P.S. – my friend that’s doing the tri’s with me felt the same way about swimming, he actually signed up for beginner swim classes at the Y to get ready! Thanks! I’ve been procrastinating on doing it for a couple of years now so I figured I may as well just register and go for it! It helped that I convinced Pat to join me! Oh yay! I’m so excited you’re doing this! I still need to conquer my swimming fears (maybe next year). So the path along the Cross Island Parkway may be a good place to try bike riding. Back in the day I used to do back and forth 3 times (approx. 14.5 miles) and the repetitiveness of the course didn’t seem to bother me as much on bike as it does running. Plus it’s a good way to practice riding with other bikers (and runners). I’ll go with you if you like! But I really am soooooo excited you’re taking the tri plunge! You’ll do awesome! Thanks! I’m a little nervous, but may as well just got for it, right!?! And YES, let’s go biking sometime! Funny I’ve just started training and I think my biggest stressor is what to wear. I don’t want to wear too much because I overheat but I want to wear enough. Maybe this is a female thing? Have you read the blog Swim, Bike, Mom? Honestly, she has the BEST advice for first time triathletes – including all sorts of silly questions a newbie has but is too embarrassed to ask! She has a post on what to wear which was very helpful, I totally recommend checking it out! Glad you bit that bullet, triathlon is great! Swim tip – don’t get caught in the initial rush. Hang back a touch so you don’t get swallowed up by the masses. Swimming in open water in a pack like this is like nothing you’ve ever experienced and panic can set it quickly. Let the speedsters go so they aren’t swimming over you (seriously, they will climb right over you). Then you can just go at your pace. Biking – get out on your bike and get comfortable with it. It isn’t too bad during the race as there are drafting rules…you can’t ride in a pack and need to maintain a certain distance with the bikes ahead of you. Even while passing, passes must be completed in a certain amount of time. It’s all about safety. My advice on gear…you are smart not spending money until you know you’re invested I the sport. If I were a woman I would just wear a good one-piece swim suit, probably whatever you are using in the pool. Then just slip on a pair of shorts and top if you wish for the bike/run legs. I wouldn’t bother with a wetsuit for your first race, unless you already have one that you know both fits and is good for swimming in. Also, make sure to use Body Glide or something similar to avoid chafing…use liberally! Thank you thank you thank you for all the great advice! The nice thing about this race is that they offer “first timer” swim starts with only 40-50 people at a time which sounds much more manageable! And I’m thinking maybe next time I swim I should jump on the bike &/or treadmill afterwards with my one piece bathing suit and see how it is, I’m worried it may be uncomfortable to run in, but may as well test it out, right?! Very cool! Best of luck to you! I want to try a sprint tri, but have yet to do so. I’ll be paying attention to see how it goes for you. I’m with you in being scared of the vehicles when you bike – I have one that I occasionally ride here, and it scares me that someone will be on their cell or texting and not see me. That’s why I don’t ride more. Yeah, my dad actually got side swiped by a car while biking a few years ago so it totally scares the heck out of me, plus since you bike in the same direction as cars you can’t see them coming like you can when running in the opposite direction! Thanks for sharing that post, I’ll going to go check it out! Congrats on going for the tri. I’ve never done one but have thought about doing a sprint just to try it out, maybe some time in the future. Good luck and keep us updated on training, look forward to reading about it. Thanks! I’m going to try to provide as much information as possible about the experience since I know a lot of people are interested in it! I hope to do one soon. Can’t wait to hear how it goes and your opinion of whatever gear you end up getting! I’ll be sure to share all the info! Only thing I can help with from scuba diving is wet suit is very bouyant. I’d also be very concerned bike riding with all those other riders. What ever you decide I’m a believer. GOOD LUCK! Yeah, I’ve heard the wetsuit does offer a little flotation help so we’ll see, haven’t ruled it out since the water’s going to be really cold! Congrats and good luck on! I’ve never done one, so I have no advice for you – sorry! My husband keeps trying to convince me to sign up for a sprint tri, and the more he talks about it, the more interested I become. 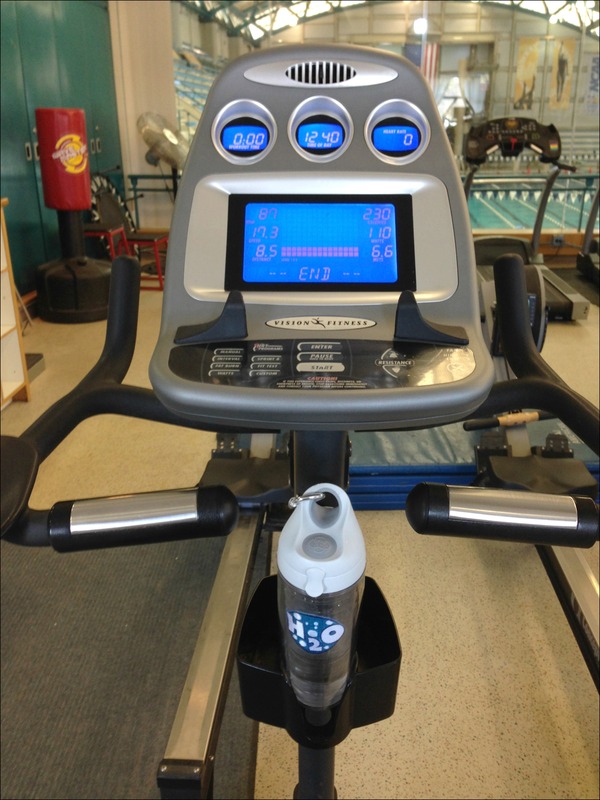 He’s mentioned ones that are indoors (so swimming is in a lap pool, biking on a stationary bike, and then running on a treadmill or track)… I think I’ll be more likely to try one of those out first to see how that goes before I’m brave enough to venture into a lake or ocean haha. I’d have to try and find a place to swim at, since I currently do not have a gym membership. That image of the shark! Lordy… I would definitely freak out if an unidentified object brushed up against me. And I agree – riding a bike with cars around is scary. I don’t even like it when I have to run in the street, because I’ve seen the way some people drive, and their utter lack of attention to their surroundings (not to mention too much attention on their phones). Stay safe out there! Best of luck training for your first tri! Honestly, I think triathlons are kind of addictive so I’m sure you will love it! Thoughts on the wetsuit…it will help to keep you warmer if the water is cold, plus the bouyancy is nice to have. A good fitting wetsuit will be tight, but with the proper adjustments it should fit fairly comfortably through your neck. Find a tri shop with great reviews and go get fitted and have them show you how to adjust the wetsuit. It is definitely worth it! (FYI it takes me a good 20 minutes to get into my wetsuit and get it properly adjusted). As for what to wear for the event, the top you picked out looks great! It may definitely be worth picking up an inexpensive pair of tri shorts. It will have a light pad in there to keep you comfy on the bike, but won’t feel bulky on the run. Whatever you do, don’t wear undies! As for your fears on the bike…no big deal that you will be riding a hybrid! And if people pass you then don’t worry about it. Chances are anyone who passes you will give you a shout “on your left” and hopefully they’ll give you a “great job” when they pass you too. Riding during a race is very different than riding on your own. Just keep your head up and watch for cars and try not to get nervous. Stay as far over to the right in the shoulder as you can and have fun!! If you can’t breathe to the right, you can always do a little trudgeon stroke to breathe other the top or backstroke if need be. Phil did his whole first tri with backstroke because of chop/breathing issues. No, you won’t win the swim that way, but I don’t think you’re out to win the swim anyway! To wetsuit or not to wesuit: I’ve done tris both ways. The wetsuit def keeps you warmer and gives you a lot of added buoyancy. This swim will be easier with a wetsuit. But if you don’t want to spend the money, it’s not a necessity. I did a rent to own plan. Rented one, raced in it and then bought it once I decided I liked it/was going to do more tris. If you do go the wetsuit route, put glide on every spot where the suit might rub–neck, arms, ankles. Sharks: I know you’re joking, but I’m totally paranoid about sharks especially in RI/MA! A great white washed up on a RI beach 2 years ago and it freaked me out. But I’ll say this, when I imagine a shark is chasing me, I swim a lot faster! 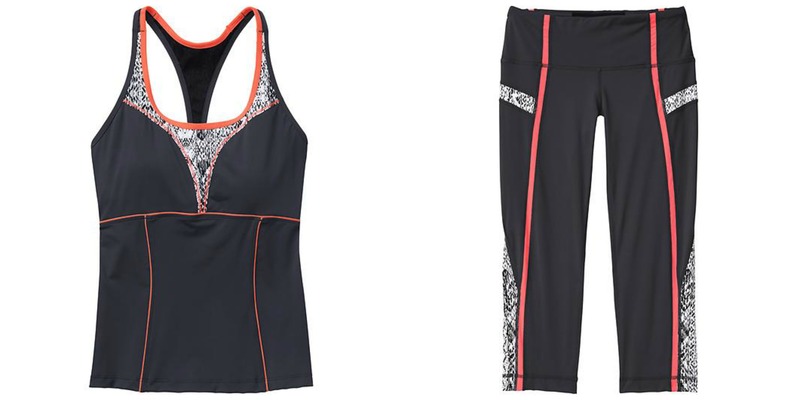 Kit: If you already own that Athleta outfit, great. If not, I’d suggest simply wearing your tightest fitting tech material sports bra that you already own and buying a pair of inexpensive tri shorts. My concern with the capris is that it might be more material than you want on the swim (if you don’t wear a wetsuit). The tri shorts will be better because of the chamois padding for your sit bones. Riding on the road hurts more than the stationary bike. Whatever you choose, swim in it before race day to see how it works. Before every tri I’ve done, I’ve done a swim-run brick workout to see how it feels/chafes/etc. My best advice for the first one is just enjoy it to get the hang of it. It’s really a fun sport! Oh my goodness, thank you thank you thank you for all this information! I’m going to go try on some triathlon shorts this week and hopefully I’ll be able to find a pair I like. I’ve done all of my bike rides so far without bike/ tri shorts so I keep thinking I’ll be ok without them, but I may as well go try some on! The rent to own sounds like an interesting idea with the wet suit…I’m going to have to see if I can find a place that does something like that. And as far as biking goes I am so terrible at it! Oh well, like I said as long as I don’t fall off my bike I’ll consider it a success for my first race! Anyway, you’re going to be awesome! 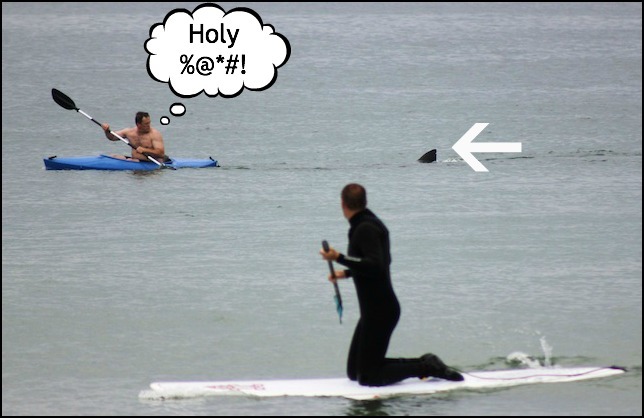 There are definitely lots of fears that go hand-in-hand with a challenge like this — um, SHARKS?!?! 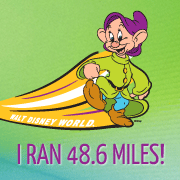 — but how could it possibly be scarier than taking on something like, say, the Dopey Challenge? 😉 You’ve got this! Yay!!! I’m so excited for you!! Triathlons are actually my first love, even though I haven’t done one in about two years now. I still only have a hybrid bike! 🙂 As for the wetsuit, I haven’t ever worn one, so I can’t comment except I know you can rent them – which might be what you want to do until you decide if this is something you want to pursue. As for the suit – you might want to check out triathlon shorts – I’ve used both Danskin and Skirt Sports. That way you at least have a little padding! 🙂 Oh, and speaking of padding – get a gel seat for your bike. And probably the best advice I have – do at least a few brick workouts – I generally stick to bike/run combos as those help me the most. Thanks Emily! I was really looking forward to hearing from you and the few other people I knew have done triathlons! I keep thinking since I didn’t do my training rides with bike or tri shorts I don’t need them but I should probably go check them out since everyone has been recommending them!